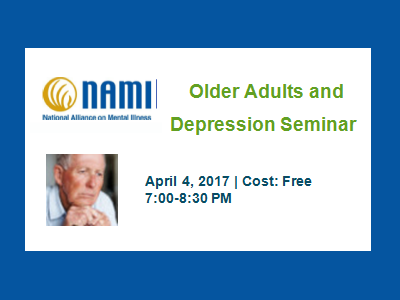 This community education seminar focuses on identifying and treating older adults with depression and is appropriate for community members and professionals. Since depression can present differently in the older adult population, it is important to recognize symptoms and differentiate between depression and other medical issues that may need physician involvement. Older adult men are at a high risk for suicide. Check in will be from 6:30-7:00 PM. Advance registration is requested as seating for this event is limited.